It is the literary equivalent of “Da-da-da-Dum” from Beethoven’s Fifth Symphony. “2B or not 2B.” Everyone knows it, whether they have seen Hamlet or not. It would be hard to find another phrase as often quoted or as immediately recognized by a wide public. “Call me Ishmael.” “It was the best of times; it was the worst of times.” “In the beginning was the word.” Even these lag behind the opening of Hamlet’s soliloquy as cultural roughage. Because it is so deeply buried in the culture, it is hard to even hear it anymore. It glides by not as information, but as a kind of tune, hummed thoughtlessly while sanding a table top or cutting carrots in the kitchen. But that soliloquy, just as the play it sits in the middle of, can be performed many different ways, with very different meanings. There are Hamlets that are Oedipal, Hamlets that are schizophrenic, Hamlets that are hot-blooded, those that are indecisive, those that are crafty — and at least one Hamlet played as a stand-up comedian. Take the words the playwright wrote and you can construe them myriad ways. In Ulysses, James Joyce has his character Stephen Daedalus prove that Hamlet is his own father. Sort of. Likewise, the “to be or not to be” speech can be spoken theatrically, like Master Thespian — this is too often the case — or emotionally, or enunciated with clinical precision. It can be spoken to the audience, breaking the fourth wall, or whispered under the breath. It can be done as a voice-over, as if we are hearing Hamlet’s thoughts. Hamlet is perhaps Shakespeare’s greatest play. It certainly has his wittiest hero: Hamlet, the Dane, is in fact too smart for his own good. In part, that’s what the play is about. In it, Claudius has killed his brother, the king — Hamlet’s father — and usurped the throne and queen. When the dead king’s ghost tells Hamlet to revenge him, Hamlet enters a storm of uncertainty: How, when, why and if to kill Claudius. In the process, Hamlet alienates most of the people he knows, even killing several. When Claudius contrives to murder Hamlet before the young prince can kill him, the whole Danish court is thrown into violence and death. You can just keep turning this play around and the light will keep catching a new facet. The more you look at it, the more you see. An actor has to decide: At any moment, is what is driving the character? 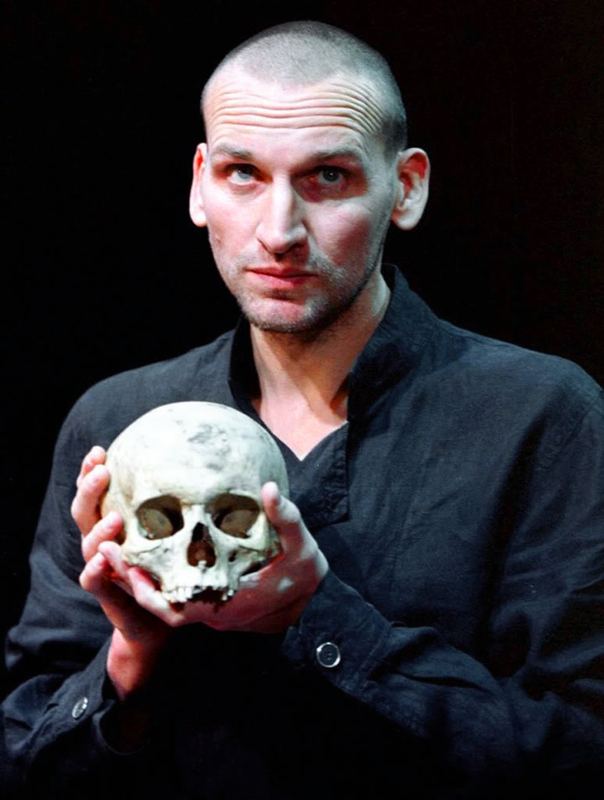 Hamlet is the single most complex, multilayered and confusing character in any play. Is he insane? Is he pretending to be insane? Is he sane at some moments and mad at others? Is he obsessed with his mother? Is his inability to act caused by fearfulness, thoughtfulness, indecision or a desire to kill Claudius only when murder will do the most harm to Claudius’ eternal soul? None of these versions is ruled out by the text, but none is sufficient of itself. Critics have argued for 400 years about Hamlet’s inaction. But the reason the character refuses to go away is that he is at least as complex as we are in the audience: Hamlet is real. Hamlet has a line, when he’s talking to Rosencrantz and Guildenstern, “You would seem to pluck out the heart of my mystery,” and that is what most scholars and critics try to do. Not only actors, but whole ages have their takes. In the 19th century, Hamlet was often played as effeminate, or at least as one easily in touch with his feminine side. The practice actually goes back further. In 1775, Hamlet was played by the young Sarah Siddons to great acclaim (she continued to play the role until she was 47). Two decades later, the role went to Elizabeth Powell in London’s Drury Lane theater. In 1822, Julia Glover played Hamlet in London and fellow actor Walter Donaldson said, “Her noble figure, handsome and expressive face, rich and powerful voice, all contributed to rivet the attention of the elite assembled on this occasion; while continued bursts of applause greeted her finished elocution.” The greatest actor of his age, Edmund Kean, came backstage to congratulate her: “Excellent. Excellent,” he said. In 1820, the first American female Hamlet was Sarah Bartley, in New York. At mid-century, Charlotte Cushman took on the role in New York and Boston, wearing the costume Edwin Booth had lent her. In the 20th century, Hamlet took a decidedly macho turn (say it like the British: “Match-oh”). He becomes a swashbuckler or a sadist, by turns. Olivier, Mel Gibson, Christopher Eccleston, who makes him look like a soccer hoodlum. Yet, there have been actresses who took the role. Maxine Peakes is available on DVD. Frances de la Tour, Ruth Mitchell and Lisa Wolpe played the Dane. In 1982, Joseph Papp produced a Hamlet with Diane Venora. “There are men who have played Hamlet very effeminate and there are those who played it macho; the male spectrum goes from the very tough to the effete and very delicate,” Papp said. “Most English Hamlets from the 19th century on were quite delicate, while American Hamlets were much tougher — like Barrymore. Diane is a strong Hamlet, but not a macho Hamlet; vulnerable, but not hysterical. 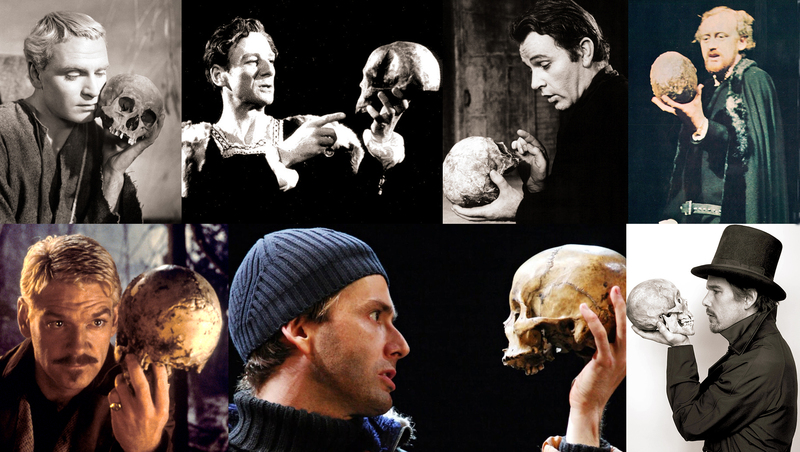 But, of course, Hamlet can be played all of these ways. The part is supremely plastic — you can stretch it this way and that and it still makes theatrical sense. But this divigation has gone on too long. Back to the soliloquy. To be or not. To be? That is the question. Nothing can stale its infinite variety. Let’s take a few different versions. Olivier, in his 1959 film, does it mostly as a voice-over, set on a precipice overlooking roiling surf. It is Hamlet on the edge of a breakdown. (Link here). Gielgud was an enunciator. The clarity of his delivery overtakes the overt emotionalism that Olivier brought. (Link here). Kevin Kline gives it the Master Thespian touch, emphasizing every word as if it were the most important. It becomes monotonous. But, soft, he doth drop a tear. (Link here). In the entire opposite direction, Benedict Cumberbatch speaks the lines as if they were spoken off the cuff. This is the way real people speak. I especially love the way he makes sense of the line: “to sleep. No more.” He makes it into “death is to sleep, no more than that.” His is my current favorite version. (Link here). One last version. John Barrymore was the great Hamlet of the early part of the 20th century. The bulk of his career was before sound film, so it was only in his decline that he filmed the speech — or part of it — in a silly comedy starring Kay Kyser as a hick bandleader attempting to learn to be an actor. He hires Barrymore, playing a parody version of himself, to be his mentor. At one point, the comedy stops and Barrymore gives his bit of the soliloquy and you can see the majesty of his talent peek through the alcoholic puffiness. The take is almost ruined by his uncontrollable eyebrows, looking like two marmots fighting over a cheese. But the words, the words, the words. (Link here). As for the words, they can be difficult for modern listeners. What the hell is a fardel? Would you bear fardels with a bare bodkin? Sometimes you wonder what Shakespeare meant, although the problem isn’t as apparent when the words are spoken on stage, as when you read them in text. An actor can make the meaning clear in context. When Hamlet says, “with a bare bodkin,” he draws his dagger and the audience understands. But language has changed in the past 400 years and even words that are still in current usage often had different meanings then. A careful reading of Shakespeare’s work demands an attention to lexicographical detail, if we are to avoid confusion. And even when we know what the words mean, we are still faced with the fact that the Bard often uses the words metaphorically, as when he has Hamlet talk of “taking his quietus,” which doesn’t literally mean to kill himself, but rather means, having finished an enterprise, or having paid off a longstanding debt. Such is life, he implies. The most famous soliloquy in Hamlet is a profound meditation on death and suicide — the question Albert Camus said is the only philosophical question that really matters. But what do the words mean? To be, or not to be: That is the question:/ Whether ‘tis nobler in the mind to suffer/ The slings and arrows of outrageous fortune,/ Or to take arms against a sea of troubles,/ And by opposing end them? To die: to sleep;/ No more; and by a sleep to say we end/ The heartache and the thousand natural shocks/ That flesh is heir to, ‘tis a consummation/ Devoutly to be wish’d. To die, to sleep:/ To sleep: perchance to dream: ay, there’s the rub;/ For in that sleep of death what dreams may come/ When we have shuffled off this mortal coil,/ Must give us pause: There’s the respect/ That makes calamity of so long life;/ For who would bear the whips and scorns of time,/ The Oppressor’s wrong, the proud man’s contumely,/ The pangs of despised loved, the law’s delay,/ The insolence of office and the spurns/ That patient merit of the unworthy takes,/ When he himself might his quietus make/ With a bare bodkin? Who would fardels bear,/ To grunt and sweat under a weary life,/ But that the dread of something after death,/ The undiscover’d country from whose bourn/ No traveler returns, puzzles the will/ And makes us rather bear those ills we have/ Than fly to others that we know not of?/ Thus conscience does make cowards of us all;/ And thus the native hue of resolution/ Is sicklied o’er with the pale cast of thought,/ And enterprises of great pitch and moment With this regard their currents turn awry,/ And lose the name of action. Rub – actually, an obstacle on a lawn bowling green. Of so long life – long lived. Time – The world as we know it. Quietus – the paying off of a debt; the resolution of an enterprise. Bodkin – a sharp object, sometimes a hatpin, but here a dagger. Fardels – Burdens, as a bindle or an army’s dunnage. Conscience – Used in an older sense of consciousness; thought. Native hue – Natural color. Cast – shade of color. Pitch – The height of a soaring falcon’s flight; before falling on its prey. The only question that counts is suicide: Should one put up with the suffering of life or do something about it and end it all? Death is like sleep: And if as in sleep, the troubles go away, that would be wonderful. But when we sleep, we also dream. And if we dream after death, the way we do in sleep, well, that’d make you stop and think wouldn’t it? That’s why this disaster we call life goes on: For who would put up with life’s crap if he could end them all through suicide? Who would bear the burdens of life but that the threat of something much worse after death makes us hesitate and makes us put up with the troubles we have rather than fly to others we don’t know anything about? And so, thinking makes us cowards; And the will to action is weakened by thinking, And what mighty deeds we would perform come to exactly zip. And that is why Shakespeare is Shakespeare.